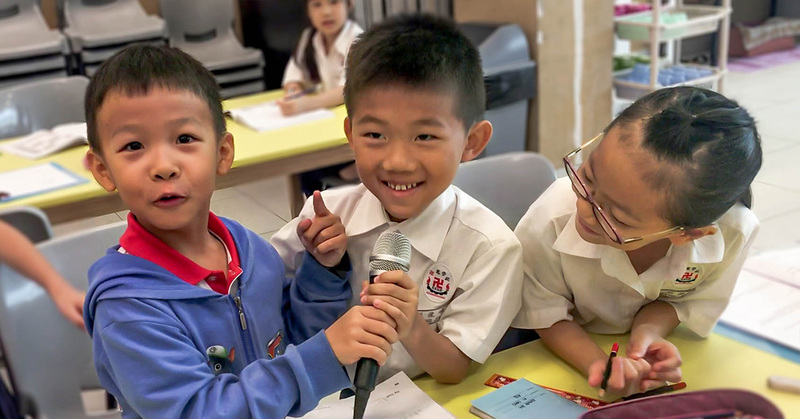 On Friday, 28 September, MOE announced 6 Changes to Singapore’s Education System. Understandably, the news was received with mixed feelings for many parents. We went ahead and tried to capture what some of our children at Sunshine Club felt about having fewer examinations. Have we been instilling fear in our children? While majority of the children were delighted by the news, surprisingly, there were a handful who felt apprehensive. One of the Primary 2 girls mentioned that she was scared to not have any mid-year examinations as she was weak in Mathematics. What do we praise our children for? According to Dr Paul O’Keefe, Assistant Professor of Psychology at Yale-NUS College, praising intelligence instead of hard work can hinder our children’s development. The former implies that the child does well because of his natural ability. And when this same child does not excel, he will tend to attribute it to not being smart enough. On the flip side, praising diligence fosters a growth mindset which helps children believe that they can become more capable with hard work. How does this relate to Singapore school examinations? We’re all accustomed to relying on exam results as a performance yardstick. We need to look beyond academics and praise our children for hard work, values and initiative. Perhaps fostering a growth mindset in the young ones will help them to be better than durian generation stereotypes. Ms Kathleen Yee, Senior Social Worker, mother of two and Supervisor at our Student Care Centre (SCC) feels positive about the new MOE direction. Another parent, whose child attends our SCC, commented that removing mid-year examinations alone is not sufficient to address the larger issue of academic stress. Rather, the current syllabus might be in need of adjustments to ensure the children are learning age-appropriate lessons. The debate will go on, and only time will tell whether our schools, teachers, parents and children adapt well to the new changes. Let’s hope that we learn to shift our focus from ‘exam results hierarchy’ to nurturing our children’s innate curiosity and helping them to take more ownership in learning. Our Student Care Centre, also affectionately called Sunshine Club, provides comprehensive before and after school care programme for students aged between 7 to 14 years. We believe that every child is special, each with their unique gifting and qualities. Hence, our programme is carefully developed by experienced programme coordinators for a holistic and interactive learning environment where each child can learn and grow. We also seek to keep our services at an affordable rate to help single-parent families, dual career parents and families in need. Bethesda Care Services is located at 300 Bedok North Avenue 3. If you are keen to join BCS as a volunteer, do contact us through our online signup form. For more information, please visit our website or our Facebook page.